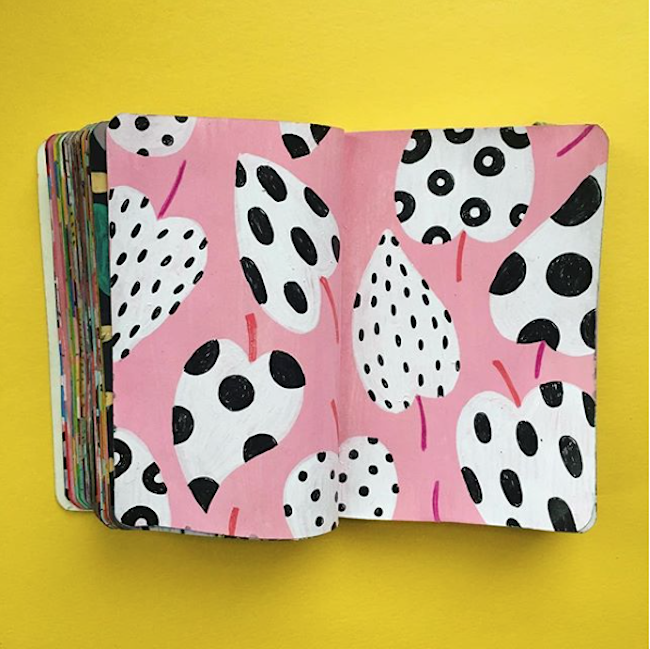 I love following artists over on Instagram because we so often get to see the process - rather than just perfected finished work, it's a chance to peek inside sketchbooks, see moments of inspiration and experimentation. 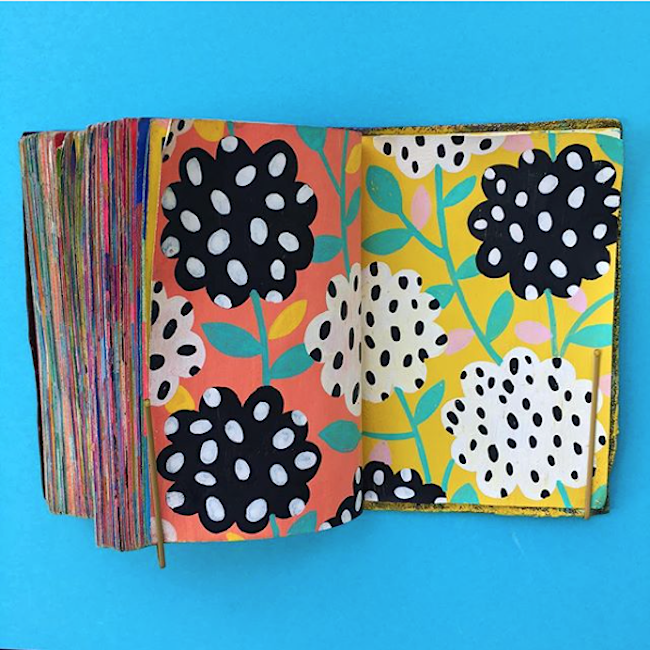 It really makes you want to make, sketch, paint, draw... something of your own. 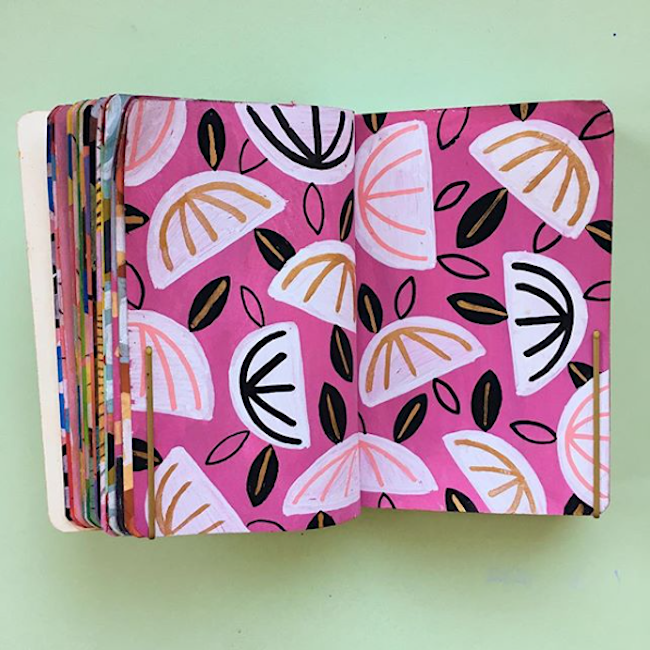 Molly Egan, a Philadelphia-based illustrator, was herself inspired to take on a 100 day challenge of doodling in mini sketchbooks - and I'm so glad she did! 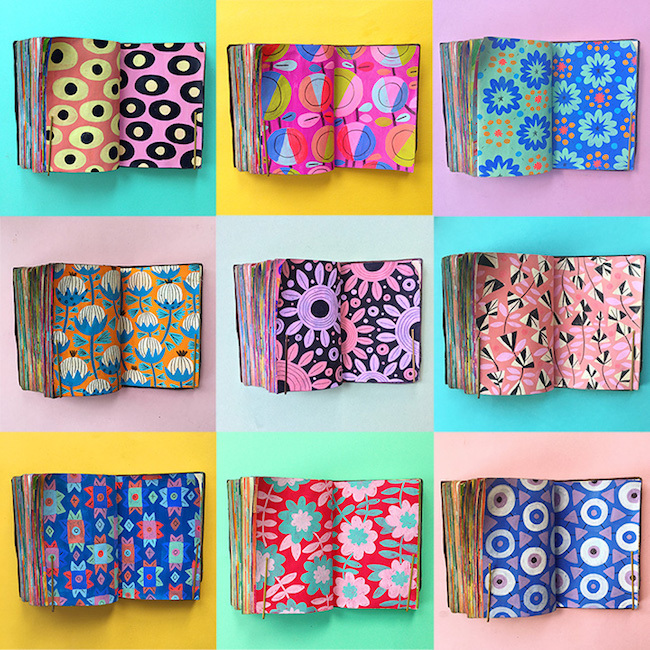 Colour, pattern and so much eye candy abounds within these pages! 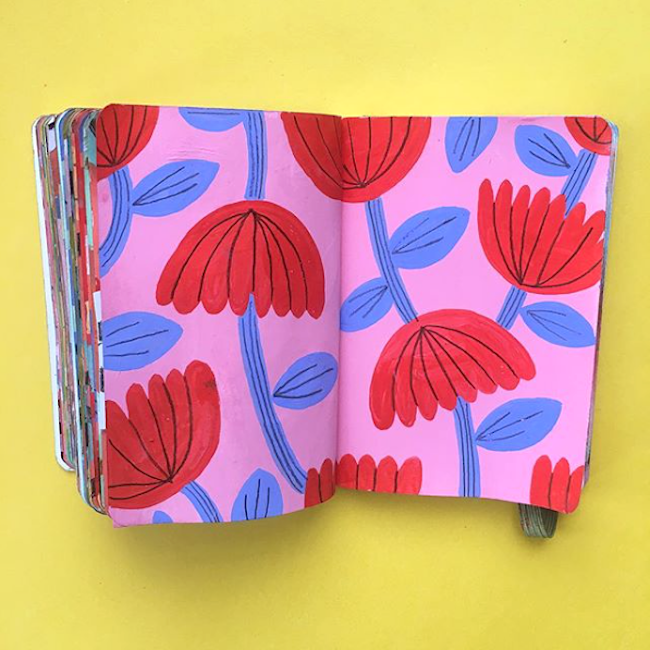 Love Molly's work? Visit her website for more info and finished work. Pick up a print in her shop. 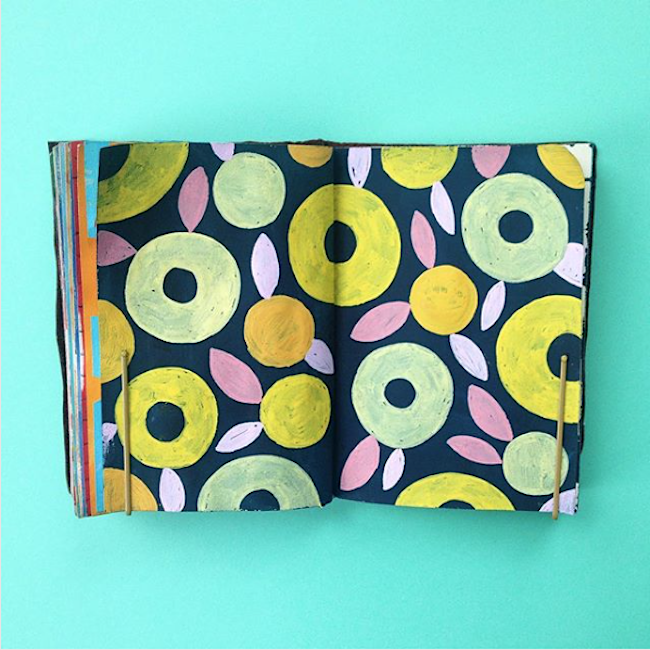 And don't forget Instagram for more juicy sketchbook work and other process peeks.